So perhaps you’ve heard of a little place called The Star in Frisco? Quite a bit lately. 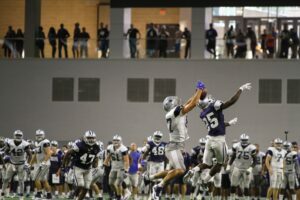 Over the last week and a half, fans have flocked to The Ford Center at The Star for the opportunity to get up close and personal with America’s Team. It was one year ago that the Dallas Cowboys opened their World Headquarters in Frisco with a promise they would hold at least part of their preseason training camp there in the future. Jerry Jones Sr., Owner, President and General Manager of the Dallas Cowboys, says the vision was always about making the players and the Cowboys brand extremely accessible to fans. 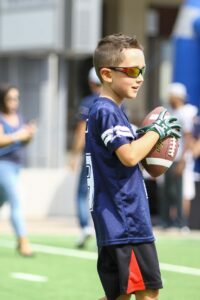 The Star in Frisco, with its Cowboys-branded experiences everywhere you turn, gives fans the touch and feel engagement that connects them to the team. 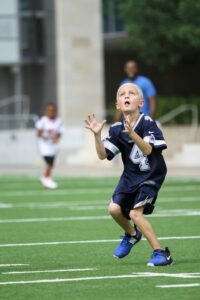 When a child can watch Dak Prescott throw a pass across the practice field, then step outside and do the same on the turf of the Ford Center Plaza, his confidence grows. You read about it. You see it on television. But when you touch it, you can do it too. That’s what this center is all about,” said Jerry Jones. At the six open practices this week and last, fans of all ages enjoyed interactive vendor booths, energetic music and shared enthusiasm outside of the Ford Center. Kids ran across the turf, clad in player jerseys, throwing passes to one another. Fans took selfies in front of the 2270 sq. foot exterior video board, where the team’s practice was broadcasting live. 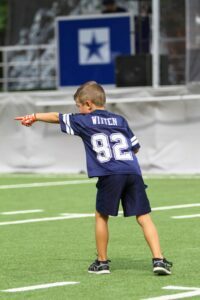 Inside the Ford Center, fans cheered as Dak Prescott, Ezekiel Elliott, Dez Bryant and Jason Witten ran onto the field. Music blared over multiple speakers and attendees watched attentively as the team warmed up and began their practice. 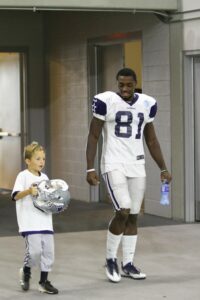 Frisco resident Michelle Williams attended an open practice with her son and says the experience was fantastic. A non-fan might think attending a team’s practice is akin to watching paint dry, but not when you have athletes like Dak and Dez on the field. Kids held signs hoping to grab the attention of their favorite player. Seasoned fans took note of the players’ performance, with hopeful anticipation of a road to the Superbowl. Players, coaches, and members of Cowboys management took the time to sign autographs and snap a few pictures with attendees at the end of practice. Those who were able to connect with the team in this way say it’s a little surreal that the entire experience was free and open to the public. Over the years I’ve talked to a lot of talented musicians, artists, songwriters and just all-around cool people. This artist spotlight is no different as I took a moment to talk to Keith Shipman of the Frisco-based band Cast Iron Soul. With a long history of playing guitar, and good friends in the city of Frisco, Keith has a lot to share about the local music scene, his passion for music and why the band chose the name Cast Iron Soul. LifeStyle Frisco: What got you into playing music? 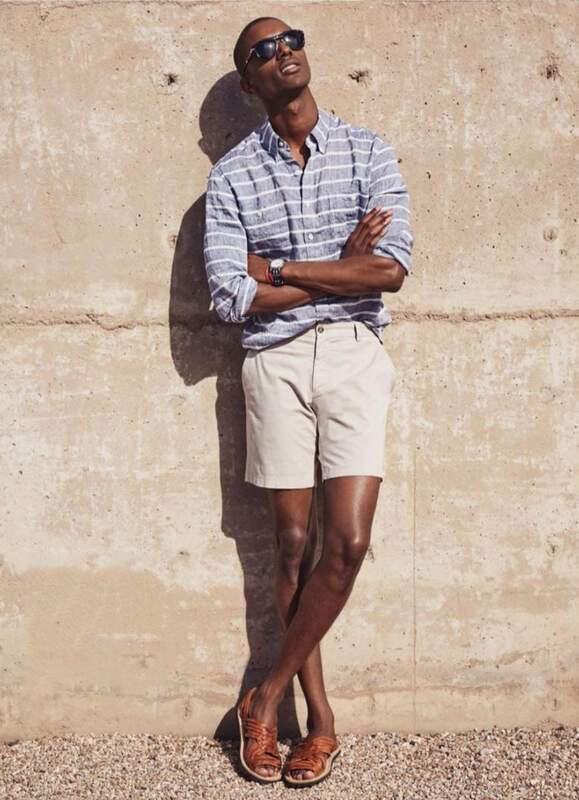 Keith Shipman: I’ve loved music since I can remember. I got my first guitar when I was thirteen years old and taught myself how to play. I used to set my cassette recorder (we older folks remember those!) next to my radio and record the songs off the top 40 station in Kansas City. I’d play them back, pause and try to learn them a piece at a time. I always leaned towards guitar music. If it had a great lead guitar or powerful chord progressions I was hooked! I played in a few different bands and some obligatory high school garage bands. Some of them actually did pretty well. We even did a little recording while in these bands. LsF: How do you know the guys from Cast Iron Soul? KS: We actually all go to church together at St. Philip’s Episcopal in Frisco. I met Scott Brooks, one of our guitarists, one day and started talking guitars. He mentioned there were several people at church that played so we organized a once-a-month jam session in our youth room at the time. We probably had 15-20 people show up with a variety of instruments in those first several sessions. The five of us in Cast Iron Soul came out of that. We just became really good friends and gelled really well with each other. LsF: How did you come up with name Cast Iron Soul? KS: We actually just changed our name recently. There are a lot of people out there that will remember us as Philipalooza. That’s what we called our Saturday jam sessions when we first started. That name just stuck and we went with it. We really only played for free at certain festivals (Frisco Freedom Fest, Celina Balloon Festival, and others) and at our church. Not very long ago we decided we wanted to play some other places and thought a name change was in order. Believe me, we kicked around a bunch of potential names! Cast Iron Soul was actually thrown out there by our drummer, Leo Fox. It comes from a cover song we play by a band called Jamestown Revival. Their song California (Cast Iron Soul) is a song we cover pretty regularly. I read an article where they were asked about the song and they commented that the more you cook with cast iron the better it tastes, and the more you experience in life the better life is. That experience is the spice of life! I thought that was pretty cool and we went with it! But it was a group decision for sure. Scott, Leo, guitarist, Drew DeMoss, bassist, Art Corcoran and myself always make decisions as a group. That’s important to us and keeps us close together. LsF: Who else have you played with over the years? KS: In the Dallas area, I’ve mostly only played with the guys in Cast Iron Soul. I played a little with Kim Gautier, who owns Manny’s in Frisco, and her group we called the Bam Band. Before I moved to Texas I was in a couple of different bands that played around Kansas City, MO and other places in the Midwest. I played with a band called the Razors for several years and we mixed in a lot of original music. Much more of a new wave/alternative band. After that, I formed a band that was more mainstream classic rock called the Lobsterz. LsF: With all the music in the DFW area, who are some of the local artists you’re listening to now or enjoy seeing live? KS: There is so much local talent. I’m amazed at how much is really out there. I love the fact that we have a lot of really good bands at our disposal and that you don’t have to go far to see them. I like Moving Colors and their offshoot, Missing Three, Trey Allen, the Maylee Thomas Band and The Rumble Kings are fun. As a Stevie Ray Vaughn fan, I really like Texas Flood. Plus there are several young people breaking out like Kendall Bowser, Grace Tyler and Not Ur Girlfrenz, an all girl band, plus so many others! It’s pretty exciting to see it all developing around us and to go watch live when I have the chance. LsF: Do you prefer to play originals or covers? KS: A couple of us have written music in the past with other bands, but right now we focus on playing covers. We try to pick some songs that are popular but you don’t see a lot of other bands doing. So at this point in time, it’s cover tunes. LsF: Over the years, how have you seen the music scene grow here in Frisco? KS: Frisco has really grown as a city over the years and the music scene has also picked up with it. I would certainly like to see more places feature live music, but it has grown in the right direction. A few years ago you had to go over to Plano or McKinney and into Dallas to catch live music, especially full bands. Now there are a lot of places you can catch single artists in town doing acoustic sets, but only a few places with full bands. 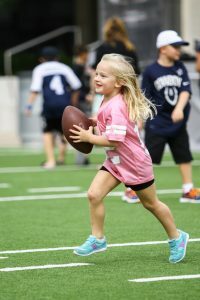 LsF: Where are some of your favorite places to play around Frisco and the DFW? KS: Well, it’s interesting because as long as Cast Iron Soul has been playing around together, we’ve only recently started putting ourselves out there for gigs and trying to get booked in different places. By far our favorite is the Frisco Rail Yard. They have some really good bands come through there and it is a fun place to play! We so appreciate being part of the bands that rotate in and out of the Rail Yard! LsF: Where are some of the unique places you have played? KS: One of the more different places we’ve played is Brinkmann Ranch. Not a lot of people get to go in there so it’s kind of mysterious with a lot of history. We were set up close to the pool and this longhorn steer would come up right behind the band. Very surreal feeling. LsF: If you could give a piece of advice for anyone breaking into the music scene, what would it be? KS: Don’t ever give up! Do what you love and keep doing it. Keep that fire burning and be passionate about it. It’s something that is uniquely yours forever. It’s the last couple of days of training camp at The Star, but in case you’re not a football fan, we’ve got the end of the baseball season, the Mayor’s Roundtable, the Magician’s Association in town, and tons of live music… all This Week in Frisco! 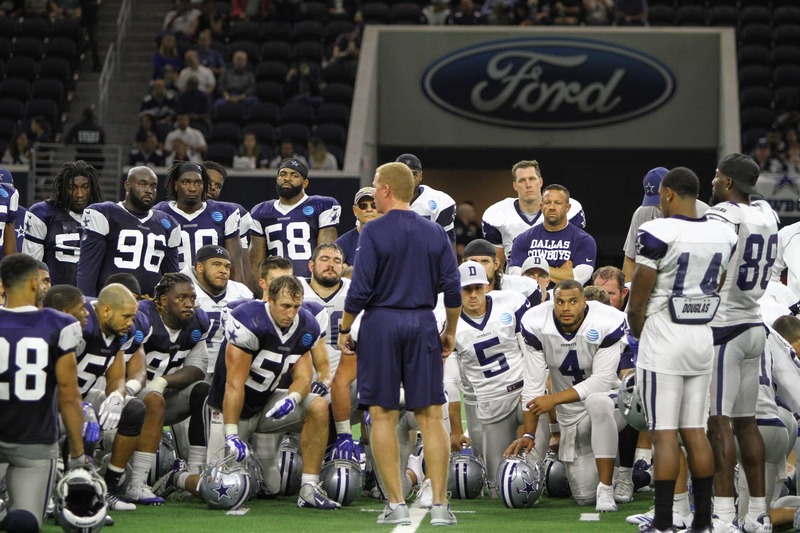 Dallas Cowboys to Host Training Camp at Ford Center at The Star – From Monday, August 28th, and Tuesday, the 29th, the Dallas Cowboys will host six practices as part of 2017 Training Camp at Ford Center at The Star in Frisco. This event will provide fans the opportunity to see current Dallas Cowboys players and coaches as they prepare for the 2017 season. The events kick off with an Opening Ceremony on Monday, August 21 at 3:00 p.m. Doors will open at 1:30 p.m. and practice will begin at approximately 3:30 p.m. Admission and parking to all practices is free and open to the public. 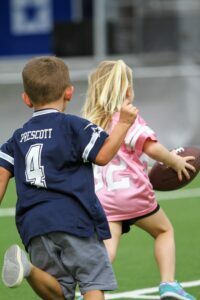 For more information, please visit www.dallascowboys.com/trainingcamp. Frisco RoughRiders vs. Corpus Christie Hooks – First pitch at 7:05pm in Dr. Pepper Stadium. Freddy Bozas & Grace perform Live – 7pm at Stan’s Main Street. The Usrey Brothers perform Live – 7pm at Frisco Rail Yard. BeerMan performs Live – 9pm at The Frisco Bar. Random Walk performs Live – 7pm at Frisco Rail Yard. Mark Shelton performs Live – 7pm at Stan’s Main Street. Dixie Rex performs Live – 9pm at The Frisco Bar. Matthew Bell & the Next of Kin perform Live – 7pm at Frisco Rail Yard. Frisco RoughRiders vs. Midland Rockhounds – First pitch at 7:05pm in Dr. Pepper Stadium. FC Dallas vs. New York Red Bulls – Match starts at 8pm in Toyota Stadium. Jericho Jukebox performs Live – 1pm at Frisco Rail Yard. City of Frisco Fiscal Year 2018 Proposed Budget Report – On Tuesday, September 5th, at 5pm in City Council Chambers, come and hear the Mayor Cheney and City Council discuss the proposed Fiscal Year 18 city budget includes tax relief for homeowners. This year, the Frisco City Council passed the city’s first residential homestead exemption – at 7.5%. Staff is also recommending a slightly lower tax rate for FY18, at .4466 (compared to .45 in FY17). Learn more by watching the budget video above. Global Village’s Multicultural Festival – On Saturday, September 9th, from 11am to 6pm, Global Village Frisco 2017 is a multicultural festival to celebrate the diversity of our unique Frisco community. The festival will include food from various countries/cultures, traditional dance and music from various cultures, and unique artifacts from various cultures. In today’s economy, more people looking to buy and sell businesses than ever before. Yet, when a company owner wants to sell their business, they can’t just stick a for sale sign in the window. They need the assistance of a business broker to locate and vet potential buyers. On the other side, buyers rarely know where to look or how to analyze what could be the right (or wrong) business for them. Enter Transworld Business Advisors – a solution for both scenarios by facilitating the process of evaluating potential businesses and franchises for sale. Located in McKinney, but with a large base of clients in Frisco, Tiffany Swartz, CEO, and David Cheek, President, are experienced business owners themselves. Both have backgrounds in the financial services industry and have owned franchises and other business. Their in-the-trenches knowledge is a calling to help others buy and sell businesses. We are business brokers. Meaning, we help current owners who are interested in selling their business. After the initial meeting with the owner, where we gather important information like why he/she wants to sell, how long they’ve been in business, what does the financial Profit & Loss Statement look like, etc., we professionally value the business. Transworld markets businesses on more than 165 websites vs. most of their competitors market on only 1 or 2. The Transworld office owned by Ms. Swartz collaborates extensively with the other TBA offices across the country. Transworld will co-broke with any broker, and most do not. 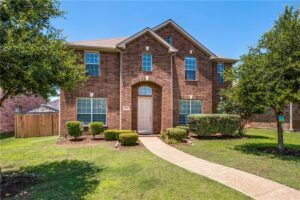 The Transworld team of North DFW is an organization of four: Tiffany, David, and two administrators, not just one broker like most of the other companies in their space. In addition, this Transworld team has five salespeople… All actively working for you. Transworld has a physical office to meet with buyers and sellers, whereas most of their competition works out of the trunk of their car. This fall, Transworld of North DFW will begin hosting educational seminars on such topics as “How to Sell Your Business” and “How to Buy a Franchise.” Plus, being Corporate Partners with the Texas Legends, Transworld has many activities planned for clients and prospects when the basketball season starts in late October. If you’re specifically in the market to buy a business, just a few of the over fifty businesses Transworld has for sale include a very successful AAA-approved, nine-vehicle Towing Company, a large Go-Cart Racing business, an award-winning Collections agency in Plano, and a number of franchise resales. 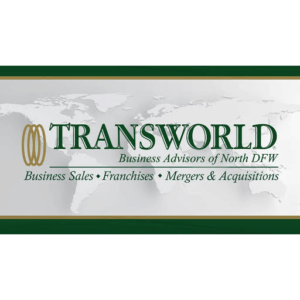 In just a few weeks, Transworld Business Advisors of North DFW will host their first seminar this fall is at Collin College in Frisco on September 14th from 8:30-Noon, “Business Insights – Successfully Buying and Selling a Business.” This seminar will be delivered in conjunction with BB&T Bank, Haiman Hogue Law Firm, and Capital International Advisors. For the team at Transworld North DFW, whether you’re buying or selling, it’s of the utmost importance to properly structure the business. Let Transworld help make your entrepreneurial dreams come true with expertise, guidance, and sound business practices.